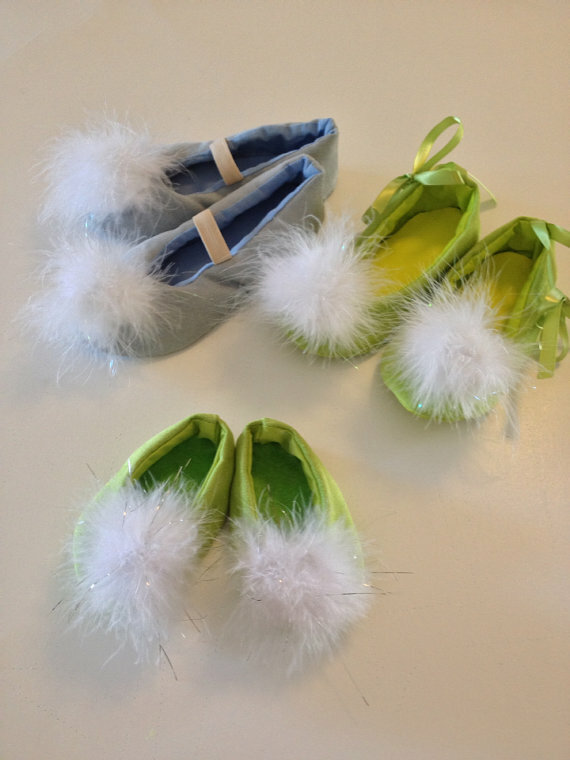 This listing is for Tinkerbell (TINK) Shoes ONLY. They are made of a bright lime green Faux Suede fabric . They are fully lined for comfort. These are soft sole shoes. The soles at the bottom are made of a bright lime green rubber fabric. This listing is for little girls sizes only. If you need baby sizes or adult sizes please see my other listing. I can also make these in a Periwinkle Blue.